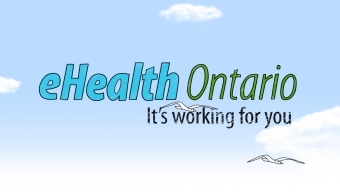 eHealth Ontario is an independent agency established by the provincial government. The agency actively engages new information technology (IT) to improve both quality and access to health care for the people of Ontario. In a nutshell, they are enabling doctors and clinicians to talk to one another and share patient information electronically. 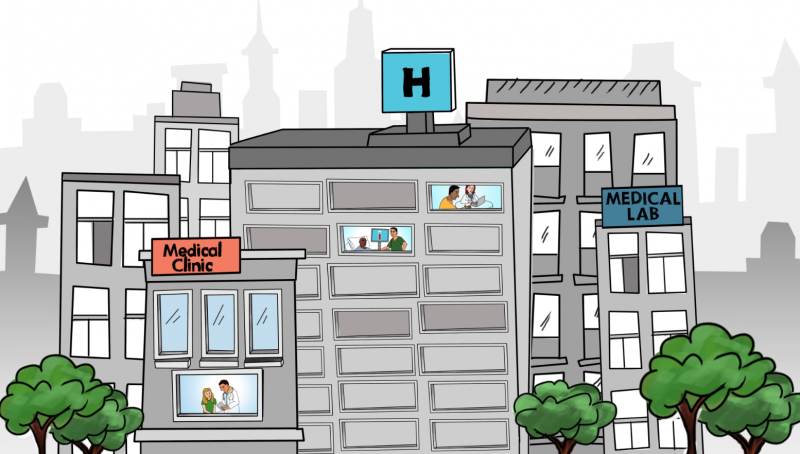 The folks at eHealth contacted me to help explain how their agency is improving healthcare in Ontario with a simple story and visuals. A whiteboard style video was the perfect medium for this project as the simplified images and graphics support their goal of clearly explaining their solution to the general public. As we got into pre-production, the main goal was to create a story and characters that would evoke empathy with the audience. We wanted the audience to relate to Maya and care about her struggles as she journeyed through the healthcare system. It was also important that the cast of characters represented all the nationalities that reside across Ontario. 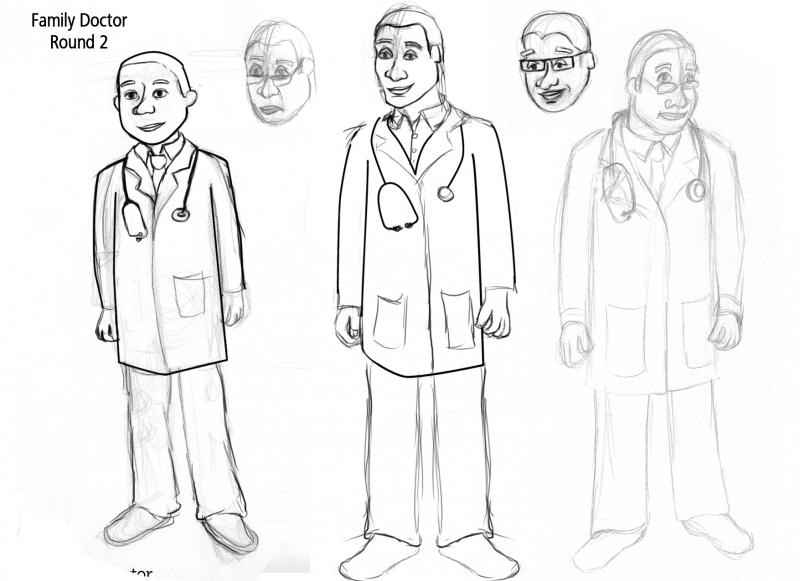 We intentionally designed each character to meet these requirements and presented a few options for the client to choose. When we approached production of the project, I knew this video would benefit from added color and animation. We decided to reveal most of the scenes in the traditional whiteboard style - with the hand drawing the image. But we took it a step further and had the color fade after the hand exited screen. We also decided to add small bits of character animation throughout the video. 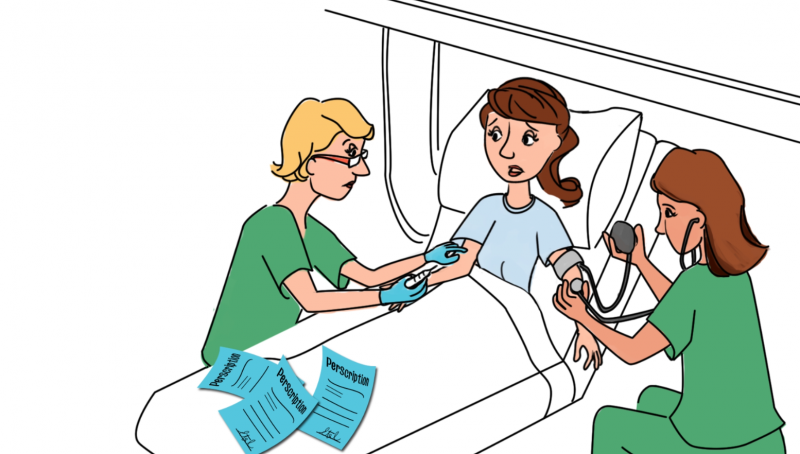 A change in facial expression, a blink or nod, and nurses taking blood work were all decisions to enhance the story and engage the audience further by bring Maya’s journey to life. 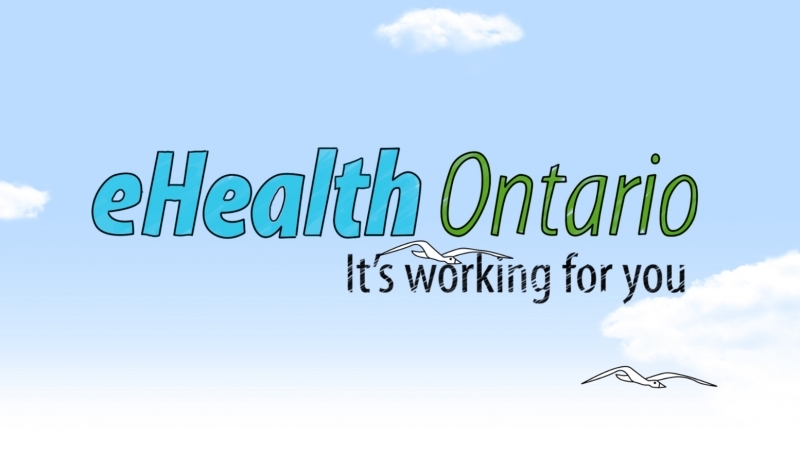 The goal of this video was to simplify eHealth Ontario’s story of their service offering to the general Ontario public. In the end, I believe we achieved this through a customized whiteboard video, produced with attention to detail and a focus on clarity.